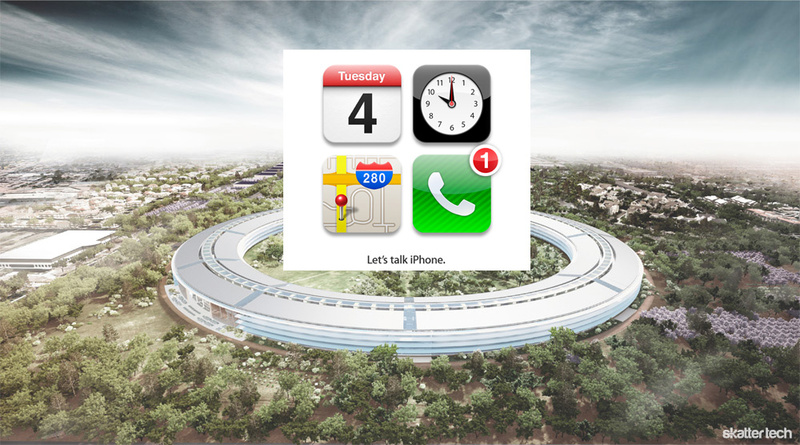 Yesterday, Apple sent out invites out to journalist for an October 4th event. While speculation is ablaze regarding the next iPhone, the announcement will most likely bring news of a fifth iPhone — not an iPhone 5. Taking a cue from previous release cycles, Apple will probably follow tradition releasing an iPhone 4S much like the iPhone 3GS after the iPhone 3G. We published a piece entitled 5 Things To Expect With The iPhone 4S and still stand by those predictions. From what we can tell, the upcoming device will simply build on the existing iPhone 4 with enhancements such as a faster processor, more RAM, and additional storage space. Apple may tweak the current design slightly to avoid issues such as the infamous “death grip antennagate” or the somewhat-fragile glass back-side. According ArsTechnica’s analysis of a leaked image snapped with the camera of the upcoming iPhone, the device will feature an 8 megapixel sensor. While some rumors claim a larger screen, the 3.5 inch Retina Display will probably remain the same. If anything, the software is the big news when it comes to the upcoming iPhone 4S. While Apple will ship iOS 5 to the existing iPhone 4 too, the company may leave out some features which require more hardware capabilities. Other rumors indicate Apple will include robust voice integration powered by Siri, which they acquired in April 2010. Some blogs also mention deep Wolfram Alpha capabilities too. The event begins less than a week from today at 10 AM on Apple’s Cupertino campus as indicated by the invite. There is no indication whether the company will provide a public live stream, but most tech publications will liveblog the event and Apple generally published a video of the keynote shortly after the event concludes.